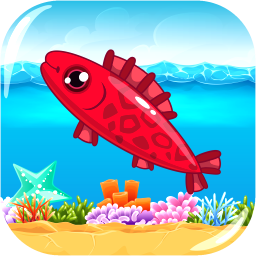 Fishing Frenzy – a very popular game about fishing! You’re in it to fight for prey, fish, blow up rabid sharks and sea horses, collect star fish and seashells, catch bubbles and bombs, worms, treasure, watches and gifts. You have so much to collect in this game and everything is possible! Fish your way to the top and be the top player in this sea battle! Management boat and a fishing rod: the arrow keys left, right, down, or alternatively, the keys A, S, D. Reset bomb: Spacebar. Touch Control works on all browsers and all mobile devices!